Judicial Intern, The Honorable Judge Rafael Diaz, Superior Court of the District of Columbia, Washington, D.C.
Yookyung Moon is a partner and foreign legal consultant in the Antitrust Practice Group in the firm's Seoul office. Previously, she was an antitrust associate in the firm’s San Francisco Office, and worked out of the firm’s Shanghai Office before joining the firm’s Foreign Legal Consultant Office in Seoul. She has also served as Senior Legal Counsel at the Global Legal Affairs & Compliance Team of Samsung Electronics, Co., Ltd. at its headquarters in Seoul. Ms. Moon specializes in complex business litigation and white collar criminal matters with an emphasis on antitrust and unfair competition issues. She has significant experience defending multinational businesses in criminal and civil proceedings involving the U.S. Department of Justice and foreign enforcement agencies. She also advises clients on various corporate compliance matters including developing and implementing antitrust audit and compliance programs and providing compliance training for executives and employees. 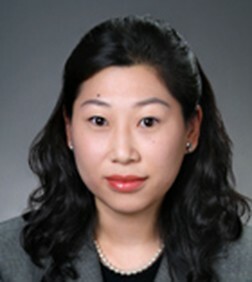 In addition, she provides counseling for multinational businesses regarding overseas investment or operations involving multijurisdictional coordination including Korea and China and liaises between the Firm’s attorneys and local counsel in Korea for client matters involving business or disputes in Korea. Ms. Moon also has experience on the development of China’s Anti-monopoly Law practice as well as recent enforcement trends and cases. Providing antitrust and corporate compliance counseling to Samsung Venture Investment Corporation in connection with overseas investments. Advising SK telecom on overseas investment projects. Providing trade and investment regulatory counseling to SK materials. Providing corporate compliance counseling to Hanwha Q CELLS in relation to global operations. Defense of Samsung SDI and related entities in DOJ grand jury criminal price fixing and foreign enforcement investigations involving cathode ray tubes and related direct and indirect civil class actions. Defense of Samsung Electronics and related entities in DOJ grand jury criminal price fixing and foreign enforcement investigations involving TFT-LCD and related direct and indirect civil class actions. Defense of Samsung Electronics and related entities in DOJ grand jury criminal price fixing and foreign enforcement investigations involving SRAM and FLASH memory chips. Defended a national construction company in DOJ grand jury criminal bid rigging investigation. Defense of Samsung Electronics in defense of trademark infringement claims asserted by Research In Motion (“RIM”) involving Samsung’s “BlackJack” and “Black Carbon” and RIM’s “BlackBerry”. Defense of Samsung Electronics in multi-billion dollar litigation against Rambus. Reviewed independent contractor agreement issues relating to a Canadian children’s educational entertainment program producer's investment in Korea in terms of IP issues, and liaised between lead counsel and local counsel in Korea. Liaised between IP counsel for TaylorMade Golf and Korean local counsel on IP and customs counseling.